» Cell reception better now? 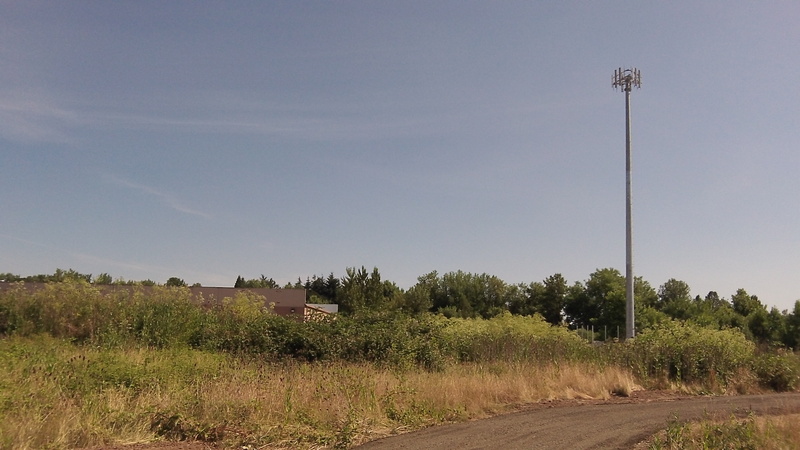 By the time I got around to the impending completion of Verizon’s new cell tower off Albany’s 53rd Avenue on Monday, the structure was already up, as is readily apparent in this image taken Tuesday. And yes, even though it may not look like it at first glance, the 120-foot tower would miss the bowling alley east of it if it ever fell down in that direction. 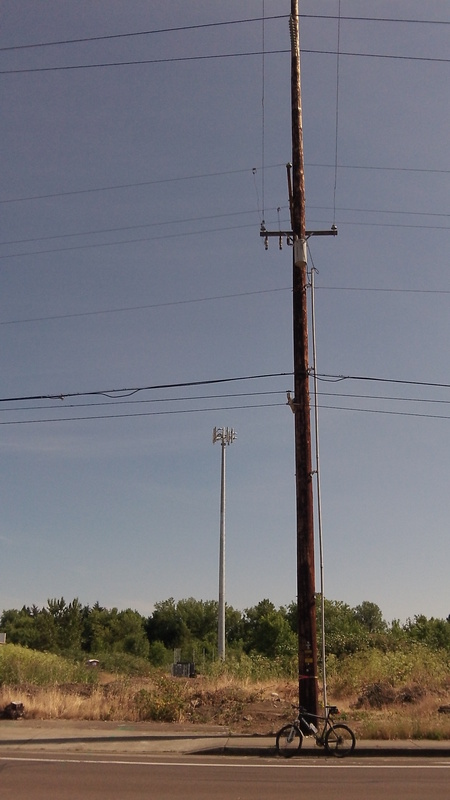 That event — the pole keeling over — is so unlikely as to be practically impossible. Even if we had hurricanes around here. But it was an issue last fall when the city council considered and eventually approved a permit for the tower.